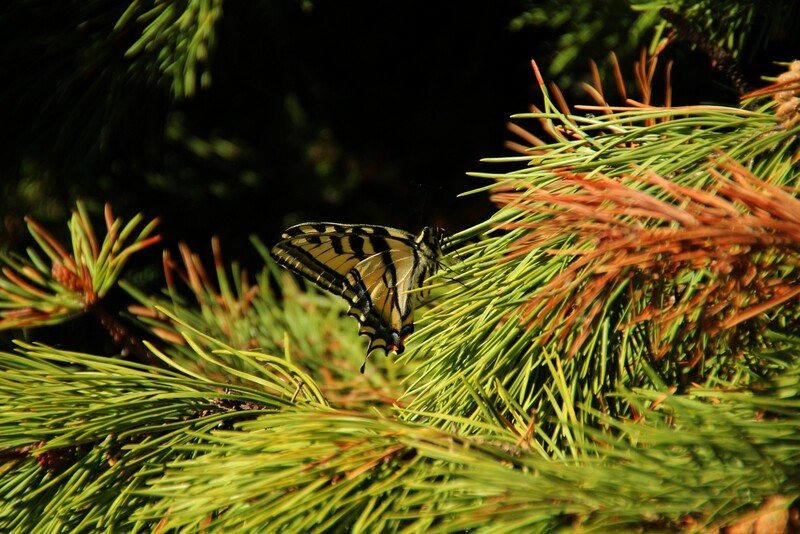 2013-06-21 While hiking around Sprague Lake, I saw a bright yellow butterfly flutter by. I had to follow it for a couple of minutes before it landed so I could catch a picture and find out that it is a western tiger swallowtail. Rocky Mountain National Park, Colorado.